Styled with hollis short . But in a super-confident and capable way. 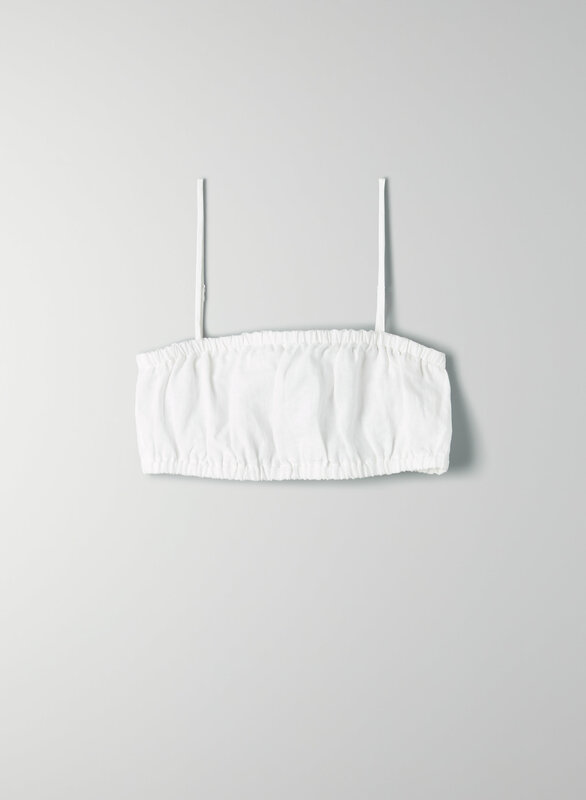 This is a ruched bra top with delicate, adjustable elastic straps. It’s made with a soft, 100% linen fabric.